Do it right? Is there a wrong way? Look at it this way: Linked in is a mighty hard working tool that never sleeps. If you have a strong profile, it will do much of your “work” for you. Let it advertise your “brand”; let it find connections for you. The list goes on and on but……………..you need a very GOOD profile and you need to follow the advice below. Let’s get started – Have you looked at your Linked In profile recently? REALLY looked at it? It’s hard to objectively critique yourself, isn’t it? It looks pretty good to you but how does it look to a recruiter or hiring manager? Linked In: Do it right! How’s your profile photo? If you don’t have a photo, you MUST! Did you know many profiles are completely overlooked when there is no photo? You may not even be considered for the job though the rest of the profile portrays your experience so well. share their name? What’s with the initials vs. full names? Playing coy? Afraid of stalkers? What is your Linked In Profile telling others? Linked In is like a branding “genie” and it’s free (unless you upgrade to Premium). But it is up to you to use this hard working tool to your benefit. You’ve heard this before but what does it mean? Make sure that everything you do is consistent with how you want to be perceived. How do you want people to think of you? Keep it professional. Keep it current. The more information you share on Linked In, the better if you want people to connect with you, do business with you or hire you. Contact me at 813/843-934, www.CareerWisdomCoach.com or patriciaedwards2@verizon.net. Great help on LinkedIn. I need to go back and look at my profile. I tend to work on it and then let it rest. How about a Part 2 on the question, What do we do with LinkedIn once we have the Profile complete? Another question, do you evaluate LinkedIn profiles as part of your services? Thanks for the help. Thank you so much for the suggestion for a followup article to this blog. We don’t want to make the mistake of finalizing the Linked In profile and setting it on the shelf. 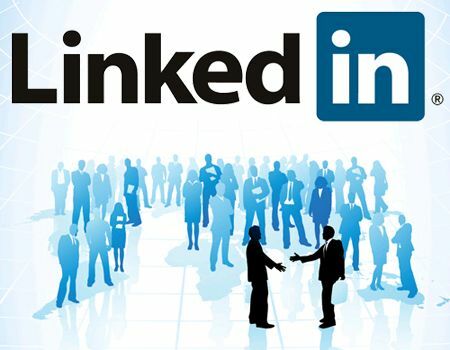 The purpose of Linked In is to network with others in order to grow our business, find a job/promotion and/or learn more to enhance our professional development. Yes – Linked In review and enhancement, as well as specific training to maximize all functionalities of Linked In is one of the services I offer.